Bikini Kill are back! 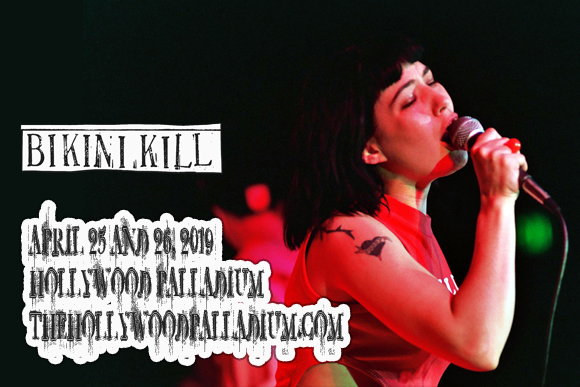 Coming to Hollywood Palladium on Thursday 25th April 2019 for two exclusive shows, the inciters of the '90s riot grrrl movement and feminist punk icons will be taking to the stage together for the first time (other than a brief, one-song appearance in 2017) since 1997! The group's return to the stage pairs with a reissuing of their seminal independently-released EP Revolution Girl Style Now! So, girls to the front and get ready to see these feminist heroes in action!! !